ok, it has been a while, I know, but I am back. While I have been away, I have been busy. Airstream #2 has been completely gutted and I learned a new skill while doing it – lock picking! I googled it and taught myself – went 3 for 3 on a set of cabinets! Anyway, that is for another post. 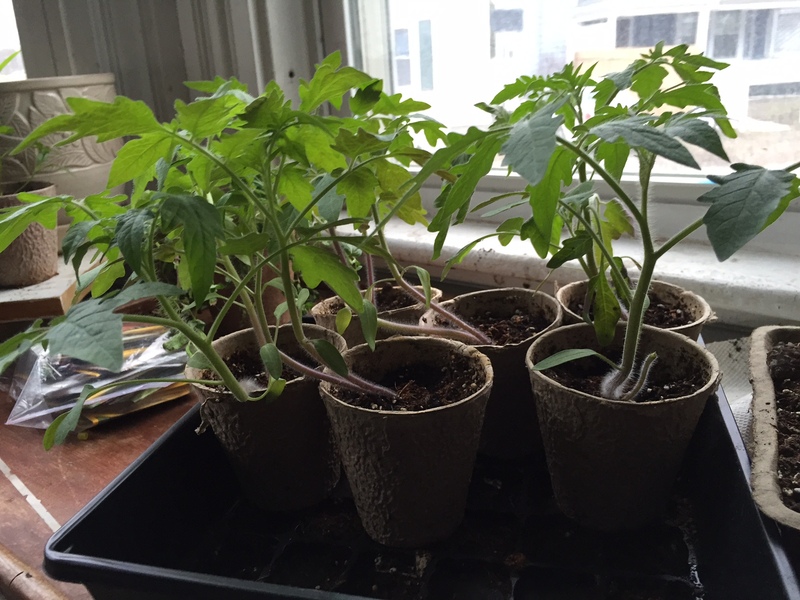 This post is about my attempts to do some greenhouse gardening. My oldest daughter and I have been trying to grow seedlings in a greenhouse I have here at Winterberry Farm. I mean what could be so difficult? Just make some benches, pop a heater in there, insulated box, watering and presto – healthy beautiful plants, right? Well, maybe my thumbs aren’t so green or maybe it is a bit more complicated than that, but we have had some “growing pains”. First, we had too much heat and a couple of the seedlings my daughter had grown at her house bit it. Then, when we figured out the nighttime temperature, they started developing white edges on the leaves and they were looking pretty sad. Apparently, that was from sun scald – too much sun. We’ve remedied that and some of the plants have recovered but I am not sure we are out of the woods yet. Before she brings the next batch of seedlings out, my daughter is going to “harden off” the plants. Well, nothing ventured, nothing gained. Anyone have any suggestions or helpful hints for greenhouse gardening? Leave me some comments. Also, I have been fighting with my laying hens ever since the weather started warming up. They have been eating their eggs. I am checking 3 or more times a day so that I can rescue the eggs before they peck them to smithereens. Any suggestions to solve this problem? Posted on May 1, 2015 by The PeeMan. This entry was posted in Lifestyle and Business, Uncategorized and tagged greenhouse growing, greenhouse problems, growing seedlings in greenhouse, hens eating eggs, Peeman, predator urine, sun scald. Bookmark the permalink. ← Today’s Ask the PeeMan: Roadrunner – not just a cartoon problem!